How many random seeds are needed to compare #DeepRL algorithms? on the Half-Cheetah #opengym benchmark. 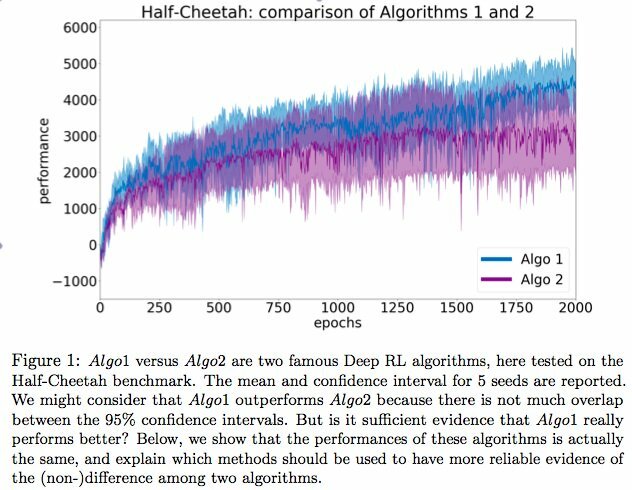 like on this graph which suggests that Algo1 is best. However, more robust statistical tests show there are no differences. implementation of DDPG, same parameters! This is what is called a "Type I error" in statistics.